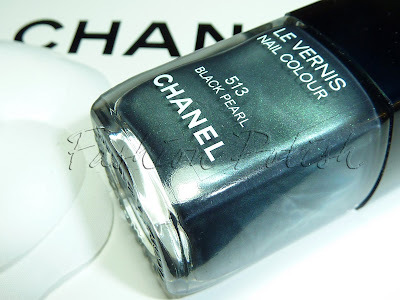 Chanel Black Pearl is the nail polish that has drawn everyone's attention these last few weeks and if you've read my previous review here you know it's with good reason. Because I was very lucky to have it in the first place and because I've been able to score a second one, I thought what best than to give it away to someone who'd really appreciate it? Followers only, you are welcome to join now. The giveaway is open from now until January 15th, no matter what time zone you live in. It is open internationally, no matter where you live, you can get it, especially if it won't sell in your country. Enter by leaving a comment on this post with your email and GFC, telling me what your favorite nail polish is. You can enter only once, please do not comment twice, if you've misspelled something email me and I'll make sure to rectify it or you. That makes up to 4 entries, I'am also adding another entry to those who have already left a comment on my blog or followed me before this giveaway for their support. The winner will be picked randomly. She (or he) will have 72 hours to contact me back or I will have to pick another person. my all time forever & ever fav polish is Orly Royal Navy, i would marry it if i could! LOL! My favorite nail polish is Essie Turquoise and Caicos. and below my blogroll is a picture-link to your Giveaway-post. I've been following your blog before the giveway. My favourite nail poish is Essie Sew Psyched/RBL Diddy Mow. Alors je suis une "followeuse" (j'ai toujours rêvé de dire ça lol sous Taninhah. super nouvelle, merci pour ce giveaway ! Mon vernis préféré c'est mon petit NFU OH 61, mon premier holo ! My favorite polish is Nars Zulu, and I'm glad it is back! My favorite polish: difficult to choose one. I would say China Glaze Secret Periwinkle or Parlez-vous OPI. fav nail polish: it's a bit hard to choose... Maybe Nfu Oh 51. Maybe! 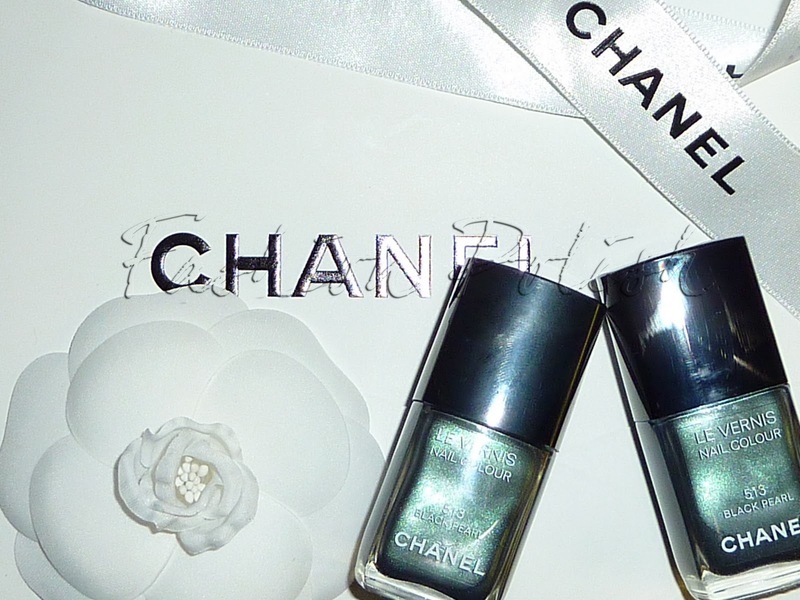 My favorite nail polish is Chanel particuliere. I just recently got it and I am loving it! My favorite nail polish is Chanel particuliere. I just recently got it and I love it! My favorite nail polish would have to be Deborah Lippmann Happy Birthday, It's just simply beautiful! I follow you trough gfc : Nadia S.
Enter me please! I'm a new follower via GFC. I follow you via gfc - nachtfee. My favourite polish is china glaze lubu heels. My favourite nail polish is Illamasqua's Veridian. Gorgeous metallic green! Great job Sam, this is a very good start. Your swatches are gorgious to watch, you'll do fine on blog-land ;-) I followed you recently on twitter and facebook, don't have a blog though. Good luck with your blog, I know it's hard work but it pays off!!! Blog about this giveaway here. Foolow you on twitter as @monikaretnani and tweet about this giveaway here. I bought Pearl Drop today after showing your swatches in store. I don't have a favorite polish, that's too hard a choice! My GFC is AHY or Allya, I cannever remember which. Email me at paintedtips@gmail.com if I happen to win. Knowing my luck, I won't but it's always worth a shot. My fav nail polish is Orly Solid Gold. My favorite nail polish is OPI :"Ate Berries in the Canaries"
I do not use Twitter/tweets. thank you for organising the **Give-Away** :) Good luck everyone!! So excited about your blog! Good luck, I'm loving it. Happy new year and thanks for this superb givaway. I don't have a fav polish but I tend to prefer green ones. Hei! thank you for the opportunity! My favourite nail polish is OPI Merry Midnight. I've never worn a Channel before. I´m your follower and my GFC name is Nik. My email is nikra6 (at) aol.com. My all time favourite nail polish is China Glaze's 2NITE. 2010's fave is The show must go on by OPI. Ooh, it's such a pretty polish! Hi, I'm a brazilian follower. My name is Priscila. I follow you as tropicalstorm blogger, and my name is Lea in my google account. favorite nail polish: OPI tickle my france-y although I love so many of my polishes. Wonderful giveaway... I really hope I win 'cause they don't sell in Denmark or I haven't found it at least! Favourite nail polish: Chanel Rose Confidentiele. hi im a follower via GFC as aaminahs mom- pgreenlee@wi.rr.com. my fave all time polish is color club revvvolution. I'm a follower, my username is kstil. My favorite nail polish is the holo opi my private jet. my favorite nail polish right now is OPI DS Desire, it is a retired shade but it is gorgeous! my user name i think is Danyal. thanks for holding a contest! chanel is too expensive! I'm a new follower! I love the name of your blog, so clever :) my favorite polish is Zoya Sweet. I added this giveaway to my blog sidebar. Hi, bonjour from France !!! I am a follower of your blog !! And my favourite nail polish is Over the Taupe - OPI !! I don't have any Chanel nail polish for the moment...who knows ??? Hi! I just started following your blog and I must say that I really enjoy reading it! My GFC name is Cheryl and my email is cherylcherylcheryl(at)gmail(dot)com. My favourite polish is ChG Frosty! Thank you for this generous giveaway! ahhhh i love this polish!!!! my favorite nail polish is OPI Mad as a hatter/RBL Recycle. My favorite polish for the moment is Chanel 479 Kaleidoscope. Hi I am a follower as "apolishedlife"
I would love to enter your giveaway. My fave nail polish is OPI - Suzi Says Feng Shui. Hi I'm GFC Mel Bee. My GFC is Fairy Lélie and my email is darklilith78@gmail.com. My fave polish is Rimmel Delicious Dark. I follow your giveway ! My favorite nail polish : For now, it's Chanel Paradoxal but it changes everytime !!! and i'm not sure how to friend you on fb, but i've liked your page via mine : Eugénie Michiels ! I'm a follower! GFC as Kendal. My favorite polish of the moment is Color Club "Wild at Heart". <3 Holos. I follow with GFC as inmydamndreams and my email is purrrpolish@hotmail.com. My favourite polish is numbre 81 from Deliplus. Hello, I follow you via GFC as Liviana. My favourite polish is OPI Over the taupe. Hello, I follow you via GFC as M.P. That was a truly good blog post. I dont disagree with this writing! !